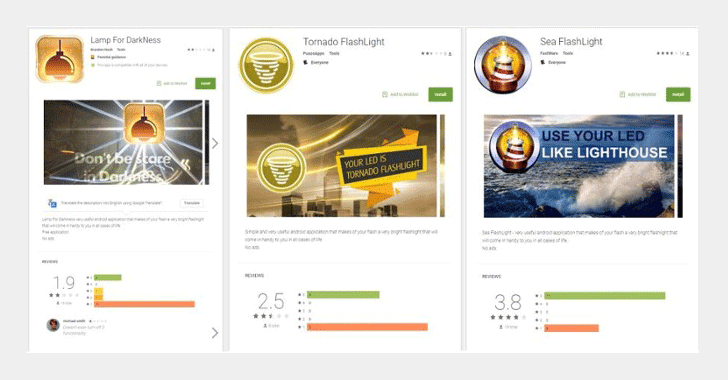 A team of researchers from several security firms has uncovered two new malware campaigns targeting Google Play Store users, of which one spreads a new version of BankBot, a persistent family of banking Trojan that imitates real banking applications in efforts to steal users’ login details. First spotted by the researchers on 13 October, the malicious BankBot apps uses special techniques to circumvent Google’s automated detection checks, such as starting malicious activities 2 hours after the user gave device admin rights to the app and publishing the apps under different developer names. Once it gets the admin privileges, the BankBot app displays overlay on the top of legitimate apps whenever victims launch one of the apps from the malware’s list and steal whatever banking info the victim’s types on it. Since many banks use two-factor-authentication methods for secure transactions, BankBot includes functionality that allows it to intercept text messages, allowing criminals behind BankBot to steal mobile transaction number (mTAN) sent to the customer’s phone and transfer money to their accounts.